I can hear you! The comment field is italic for no apparent reason! It occurs to me that I don’t know if you’re moving your whole blog, or just the more writerly stuff. Any information on that? I’m not moving so much as I am mirroring. LJ will be my home base for as long as it can serve in that area, but between LJ’s traffic drop and its actual drop, it’s clear that I can’t stay there forever. Plus, I need a more permanent place to hold my writing stuff, man. Hail, oh mighty Ferrett. I do see your blog, the mightiest in all the land. It is a wise choice you have made, to blog elsewhere than on some fading platform that might go mammaries-skyward at any moment. Er…the grout is a good thing. The grout is the good stuff between the tiles. The stuff on top of the grout is gunk. Whatevs. You might like your tiles with grout. I like mine without. Gorgeous theme and what a perfect background. I’ve always been a fan of Elegant themes, so I’m happy to see that you found a template (for now) that you like. Also, welcome (again) to WordPress. Thanks! 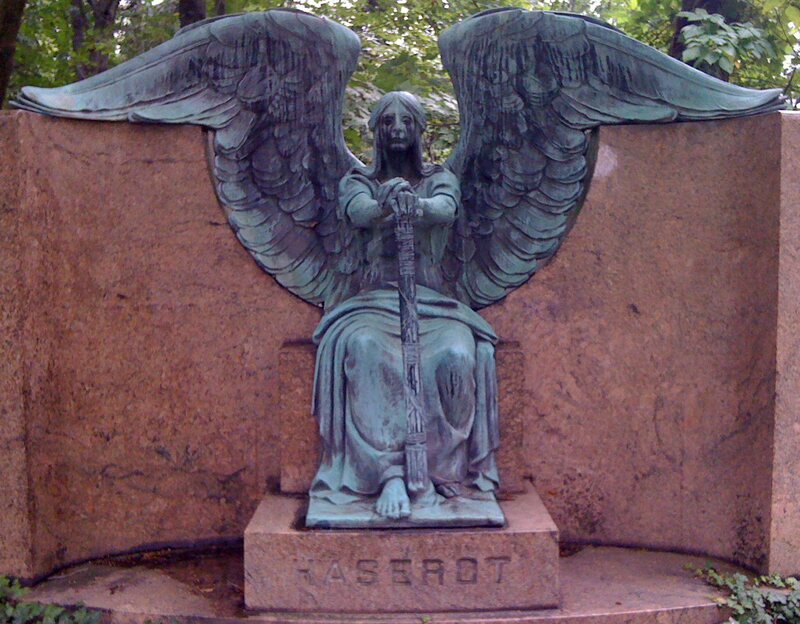 That background image (sadly obscured) is the Cleveland Cemetery’s Hazerot Angel, which is a very beautiful statue. I figured it was only appropriate to use local color.